The only thing better than a field service software that gets the job done is one that gets the job done for a reasonable price. 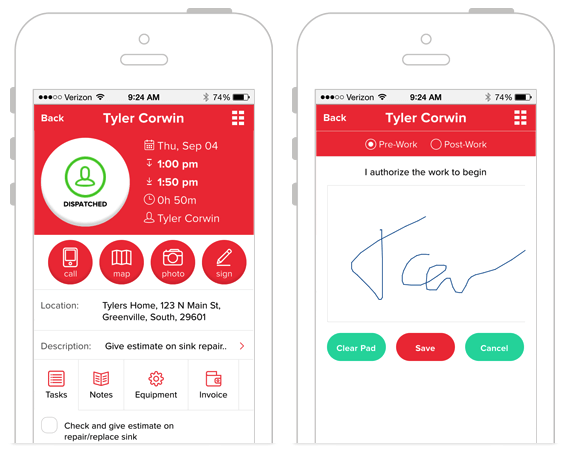 Fortunately, Service Fusion is not only a comprehensive field service software with all the features you need to organize your business, it’s also an affordable option that won’t negatively impact your bottom line. By providing seamless access to analytic reports, scheduling and dispatch features, and online payments options, Service Fusion makes running a busy easy and affordable. Service Fusion services a wide range of industries, including: Carpet Cleaning, Electrical, HVAC, Plumbing, and Repair. Seamless Quickbooks integration makes Service Fusion a no-brainer for a company looking to organize their finances. Their dedicated customer service team makes Service Fusion easy to use no matter how complicated it may seem at first. 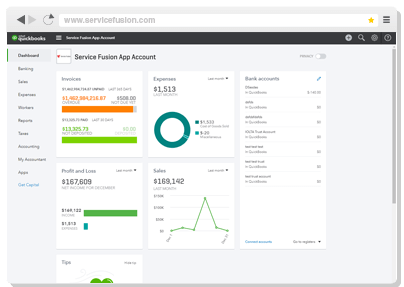 If you’re looking for a field service software that can do it all for the right price, you’ve found the perfect product in Service Fusion. With low price points and an entire catalog of helpful, comprehensive features, you’ll have your business running smoothly before you know it. Be sure to take note of some of the features and benefits of Service Fusion below and don’t forget to get a tailored quote to inform your decision even more. This is the most important feature for any field service software to have, and Service Fusion knocks it out of the park. 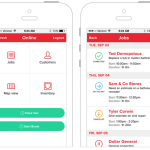 Their visual scheduler allows you to easily drag and drop technicians and appointment times so you can save time between jobs. You can even contact field technicians with the click of a button to make sure everything is going well in the field. 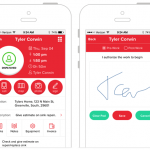 Running a field service business takes more than managing employees. The equipment they use is just as important to completing the job, which is why Service Fusion has a dedicated inventory management system that supports serialization of assets to make life a bit easier and increase accuracy across your business. Plus, you can easily split orders between multiple warehouses, so there’s no need to double book your orders. Knowing what works is the key to a successful business. With Service Fusion, you’ll be able to tap into a wealth of knowledge with analytics covering your sales numbers, your commission rates, and your referral statistics. You can organize them in different categories as well, so all that information won’t get too overwhelming. This will help you to improve productivity, as you’ll be able to test out what’s working and eliminate what isn’t. If you can’t get paid, what’s the point of running a business? Service Fusion makes it easy to accept payments by converting jobs into invoices and allowing customers to pay with just a few clicks. There’s no third party system needed here, as Service Fusion is designed to make money for you. You’ll be able to accept credit card, cash, and even check payments through this system, which is all the more impressive. Adding a new software to your business can be stressful, particularly when you have other software already in place. Fortunately, with Service Fusion, you can seamlessly integrate Quickbooks into the software. You’ll be able to track profits, losses, sales, expenses, and invoices without having to do any back and forth transfers between the two programs. As for the specifics of Quickbooks integration, Service Fusion provides bi-directional integration, which means you also won’t have any double data in either software. It automatically updates job deposits, invoices, and payments, so you and your customers will be treated to a flawless payment process without any hiccups. There’s nothing worse than installing a new software for your business and finding out that it comes with a bunch of excessive fees and hidden costs. Fortunately, Service Fusion comes with no added fees per user and no lengthy contracts that get you in trouble financially. 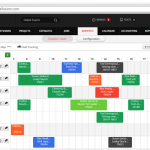 You’ll be able to get your company organized for the right price without any surprises. Service Fusion provides three different pricing options, depending on your company’s needs. The Starter plan is $99 per month, the Starter+ plan is $199 per month, and the Pro plan is $349 per month, each with their own set of added features. There are a wide range of pricing plans when it comes to field service software, which makes getting a quote all the more important. 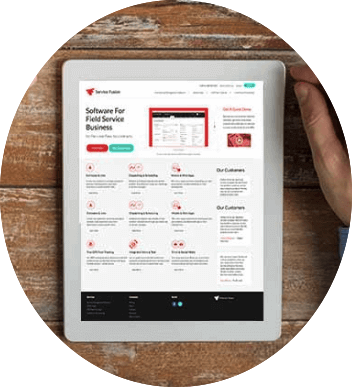 You’ll be able to better understand how much this kind of software will cost – and save – your business and directly comparing exact tailored figures, instead of having to chance it on a whim of a random offer without knowing where you stand. 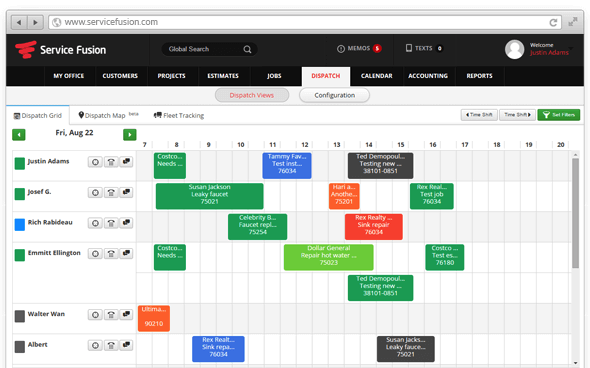 Service Fusion will allow you to handle and automate a wide range of work functions for a stellar value price. 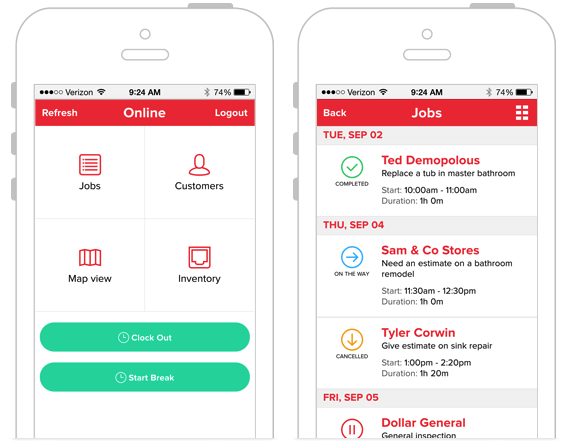 From dispatching and scheduling to customer support and inventory management, this easy-to-use software covers all the bases as far as your business is concerned. Plus, the simple Quickbooks integration makes it a bit of a no-brainer for those looking to organize their finances. Service Fusion is typically rated as one of the most affordable and easiest to use field service softwares for a reason. But if you aren’t one to believe reviews, take a gander at their many available free demos to get a taste for yourself.